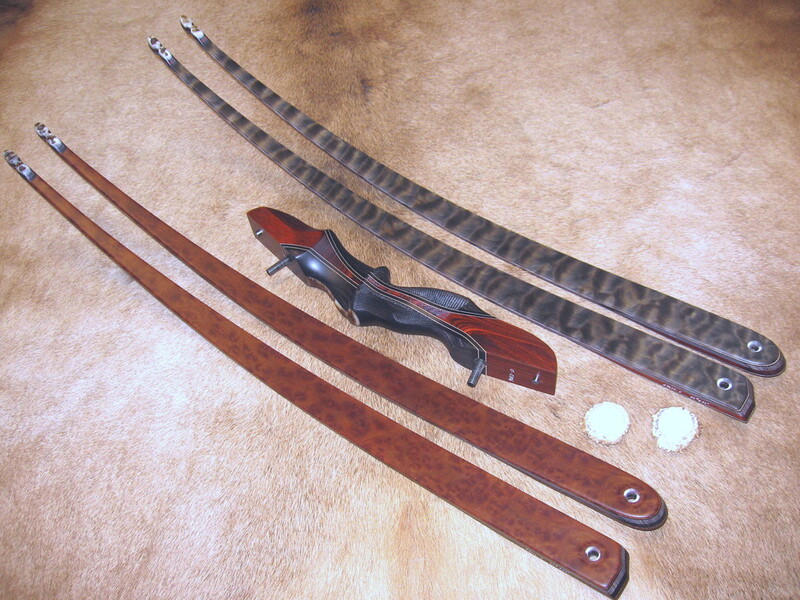 The 3pc Take-Down longbow is offered in 60"-66" lengths. There are two riser lengths (short 14" and long 16") and three limb lengths. These bows have a reflex/deflex design which offers high speed performance, minimal hand shock and exceptional stability. The locator grip aids in consistent hand placement. 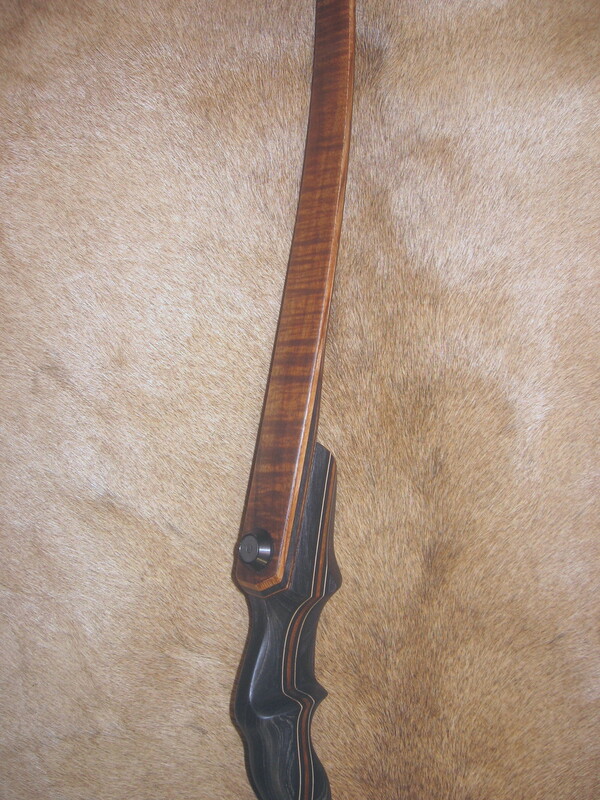 The sight window is cut to center allowing use of a wide range of arrow spines thus eliminating more hassles experienced when tuning the bow. 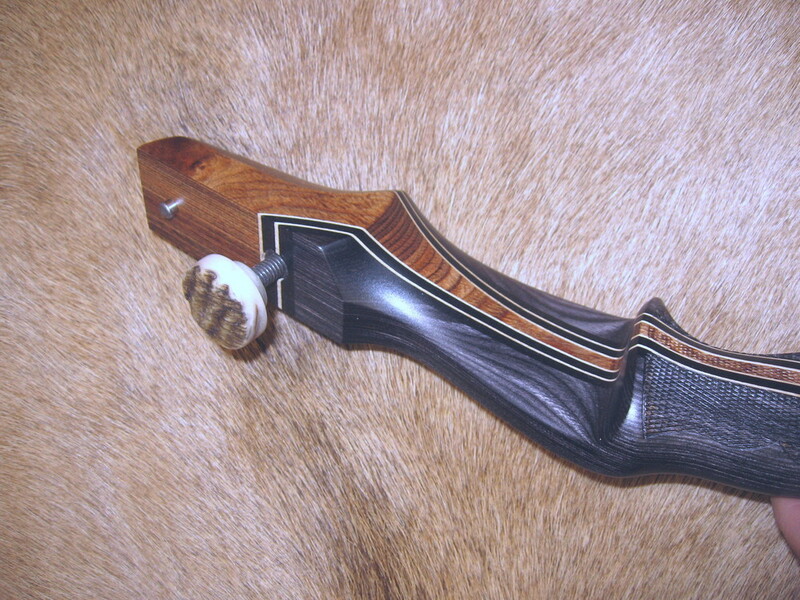 A center shot design also helps the bow to naturally point well. The standard riser wood offered is Dymondwood available in a walnut, rosewood or charcoal stain. Dymondwood is laminated birch impregnated with dyed resins. The material provides tremendous durability and a slightly heavier physical weight bow, adding stability and reducing hand shock. Each Silvertip comes standard with a slightly radiused laminated accent stripe for strength. We also offer other riser configurations which you can view in the "Custom Options" tab. All Silvertip longbows are built to accommodate Fast Flight., therefore all risers must be made from the standard Dymondwood. 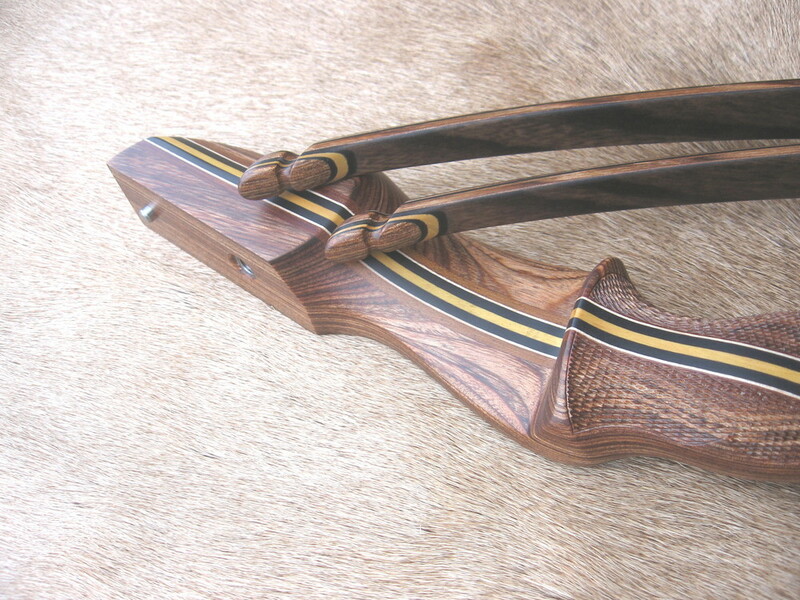 If you wish to incorporate exotics into your TD longbow, you may do so in the center stripes or in one of our additonal "custom option" riser lay-ups. Thus keeping the Dymondwood on the outer portion of the riser. Silvertips come with a standard matte finish unless requested otherwise. The standard limb core is Actionwood which is laminated maple that is extremely consistent, ensuring great efficiency, stability and smoothness in the limb. 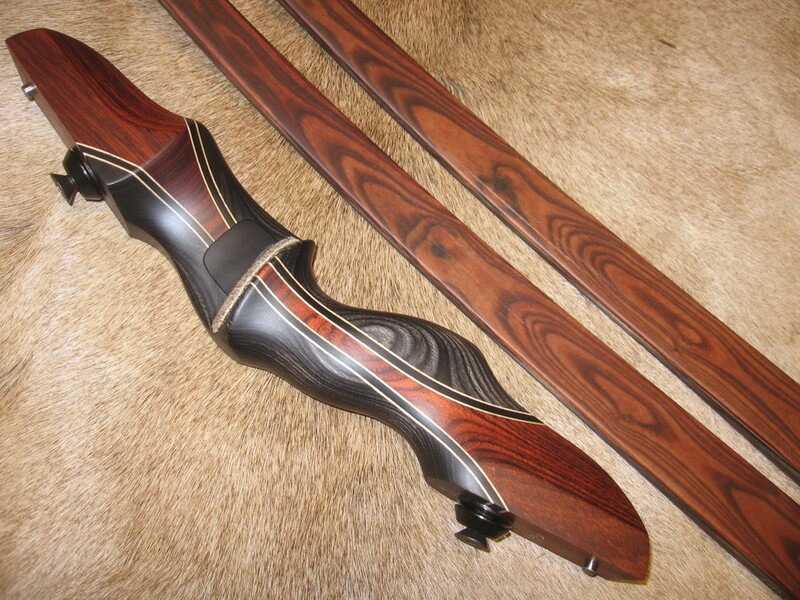 Longbows have an abundance of wood vs. glass which is why a durable and consistent wood like Actionwood is preferred. In addition, there are many exotic/domestic veneer options you can choose. These are very thin veneers of wood laminated between the core and the glass. These veneers are strictly for aesthetics and do not affect the performance of the limb design. The standard tip overlay is wood. Antler and various horn tips are also available. The locator style grip is the standard. 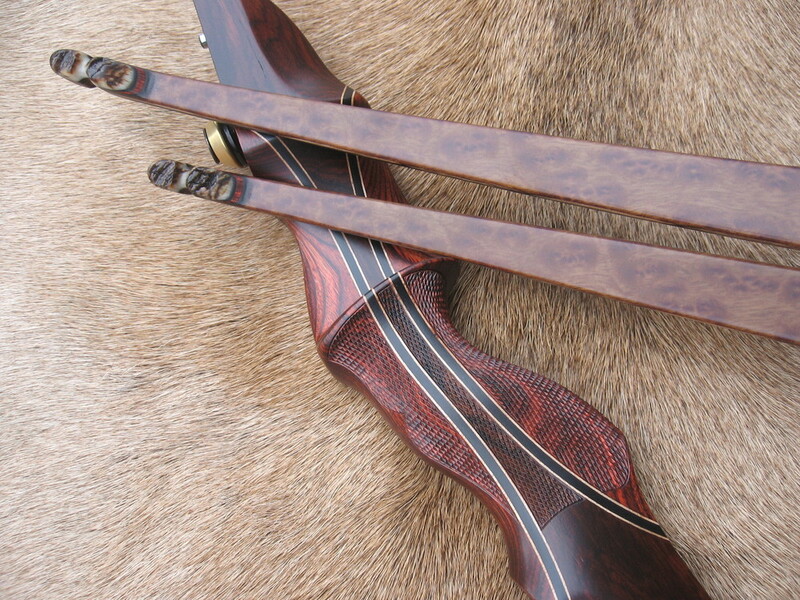 Grip modifications can be made providing the specifications are adaptable to the design of the bow. If you have ever handled a Silvertip you know they have one of the most comfortable grips on the market so you can expect that same level of comfort on the longbows as well. The checkered grip has proven to be one of the most popular options among the recurves, and in wet and humid conditions, or when wearing a glove, is an option recommended on the longbows as well. 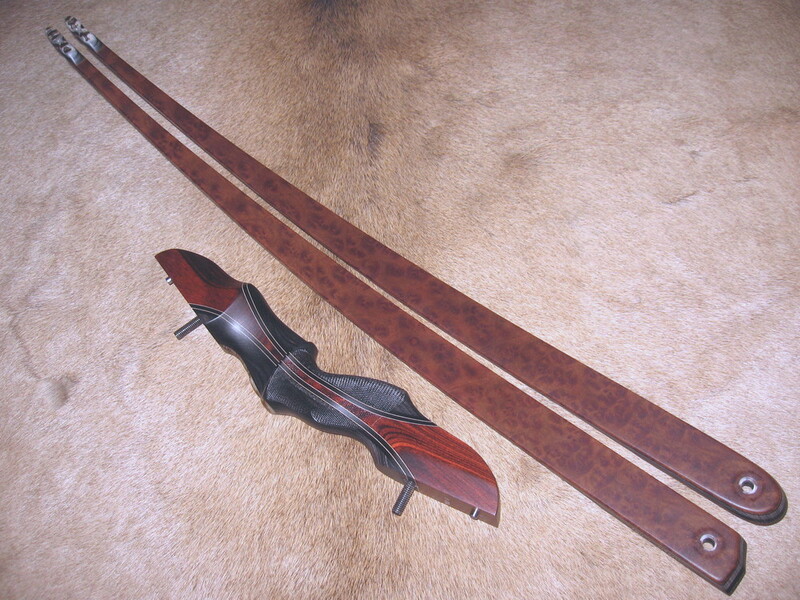 These limbs are specifically fit to the narrower longbow risers and are not interchangeable with the recurve riser. They will be interchangeable with one another so sending risers back to fit to new or used limbs will not be necessary.